Instantly Increase Your Sales and Conversions On Any Website! 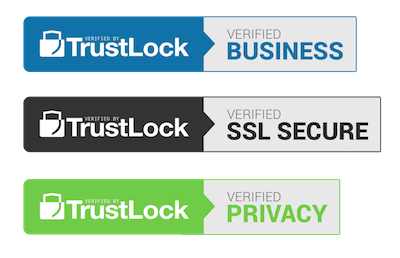 TrustLock verification trust badges give your customers confidence! Start with trust by removing customer doubts and the sales will follow. — According to monetizepros.com, as many as 61% of participants in a recent survey say they decided not to purchase a product because it was missing a trust seal or trust badge. TrustLock seals help turn shoppers into confident buyers! increased credibility and buyer confidence. Give new visitors a reason to trust you. According to monetizepros.com, as many as 61% of participants in recent surveys say they had decided not to purchase a product because it was missing a trust seal. TrustLock badges help turn shoppers into confident buyers! 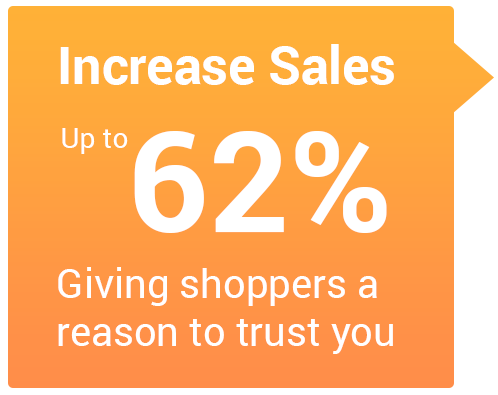 likely to buy your products or services when they know they can trust you! Boost sales with features that help you win! Every day thousands of sales are lost from cart abandonment and traffic bounces. TrustLock badges are the perfect way to give new visitors trust in your brand and confidence to buy. Boost your conversions & sales in 30 days guaranteed! just 5-minutes or less to start boosting your conversions. and embed anywhere you want. increase up to 62% or more. Which Is The Best Trust Seal For Me? Depending on where you want to install the trust badge, certain seals can work better than others. We recommend the verified business seal as the #1 choice for footer placement, checkout pages and next to critical pain point pages. It’s not only our best selling trust seal, but it also converts the best along with the SSL Secured badge. The Business seal helps legitimize your business online for a fraction of the price of other services. The SSL Secure trust seal detects your SSL validity and shows the badge. Our SSL verification badge won’t show unless SSL is active, thus protecting your visitors every time they see our badge. This trust seal works great next to checkout pages and is most effective when combined with the business badge. If you are debating between our badge options and need help, please contact us at support@trustlock.co. We’re here to help and should reply within 24-hours or less. To maintain a trustworthy brand, we review all new signups at the end of each day. We ask for our new customers to upload proof of business and ID. We manually review each website to ensure compliance with our company policies. If there’s an issue, we’ll let you know what it is and how to fix it. 90% of all businesses who signup with TrustLock are approved, however, if we are unable to approve your account for any reason, we will refund your full payment, guaranteed. Unlike other companies who hand out business verifications without proof, we do ask for your ID as a sole proprietor, or official letterhead to prove your business existence. Providing EIN and other verifiable information is also helpful in getting your account approved and trust seals on your site faster. If you have any questions, please let us know. 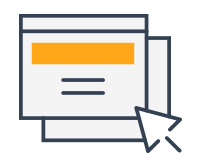 If you already have an account you can create a support ticket in your dashboard and a team member will get back to you within 24-hours. Our primary marketing tool is word of mouth. Our customers who love working with us tell others and a good thing keeps going. We’re introducing a new way to earn by telling your other business friends. Each friend you refer, you’ll receive a FREE month (valued at $9 for single seal). We’ll refund the $9 for each friend you send our way. Just give us their name and we’ll apply this credit to your account as a refund to your paid subscription. We’re serious about growing our business and helping others along the way. If you have any questions about TrustLock badges please send us a message via our contact page. Due to the complexity of all the sites using our service, we offer free integration support. If you don’t have a developer who can help you, we can help! Our development team is usually available within 24-hours. Simply ask us any questions you have about the trust badge implementation and we’ll answer or fix the issue for you with your provided temporary login. 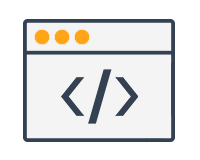 Our badges work on all sites and we have solutions for even the most complex websites. With over 108+ trust badge designs, we’re sure to find the perfect one that fits your site. 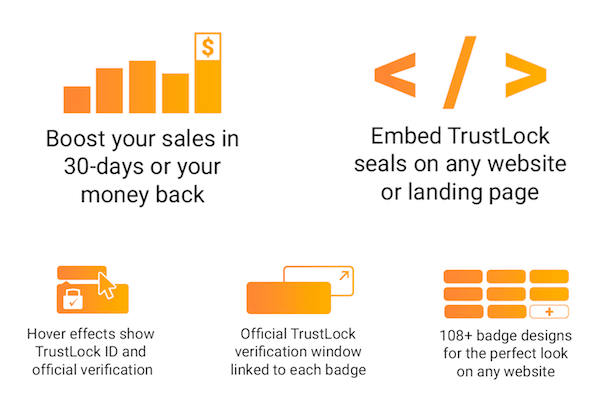 TrustLock was founded with ideas gathered from the past 20-years of watching e-commerce and the evolution of conversion optimization and trust seals. 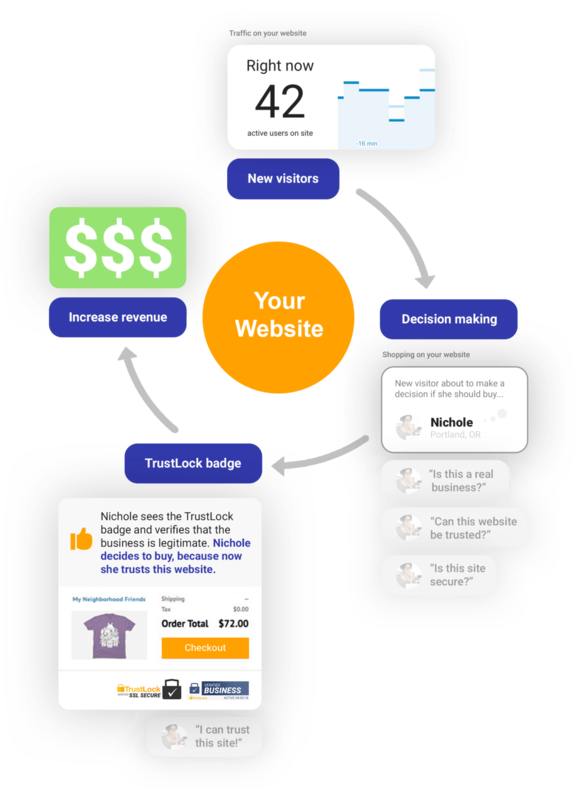 We invested thousands of hours into conversion optimization with all different kinds of trust badges. We then consulted with several psychologists and created the best converting trust seal available online. Our name itself ‘TrustLock’ helped us gain momentum as a trusted mark online. Combining the name Trust and Lock, we were able to gain a distinct advantage over other competitors almost instantly. In the beginning, we realized that e-commerce owners needed a way to become trusted. We also knew that most badges offered little value and were very costly. This was our inspiration in creating the most affordable and best-valued trust badges in the market today. Through extensive testing, we’ve proved our own point many times – when you are trusted, you sell more. Our badges have gone through hundreds of different design phases in the past two years as we work hard in creating the very best converting badges available. We enlarged the words “verified” and “business”, “SSL Secured” and “Privacy Safe” to help emphasize our verification as the #1st priority over our brand name. We did not like how other trust badges used their name as the main reason to trust the badge. Instead, we decided to use the verification type as the largest text, then backed by our logo and verification window. 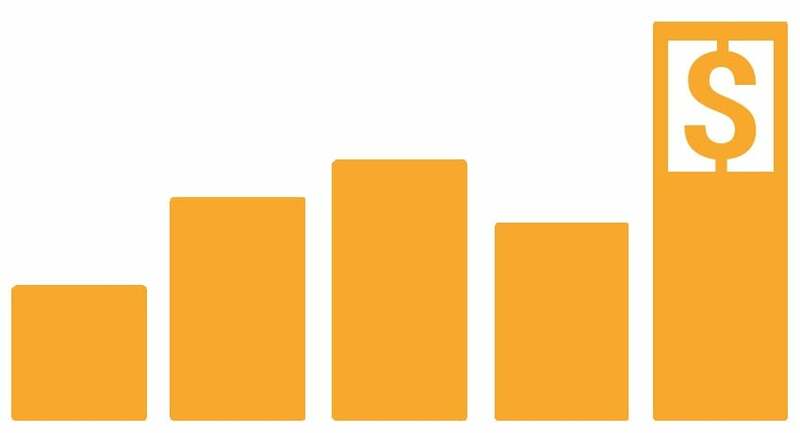 We tried out these changes with A/B testing and discovered that our badges converted better than most all others at a much lower price. At TrustLock we love helping our clients build trust with our trust seals, but we also love giving back to meaningful projects. We dedicate 10% of all net profit to tax-deductible organizations who help those less fortunate. We’re always looking for new opportunity to allocate our donations. If you have a worthy cause you would like us to donate to, please send us a message with your favorite tax-deductible organization. We’ve donated thousands to many well-deserving organizations and we’re hoping to continue giving back. At TrustLock, we’re currently reinvesting 100% of all net income minus 10% for giving back to charitable donations. 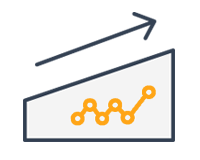 This reinvestment is mostly being used to build our platform and add new features every month. We plan on rolling out many new features in 2018-19 which all active customers will be eligible for. Three new designs are now complete, but not yet deployed to the server – These can be used now as image only to registered and approved members.